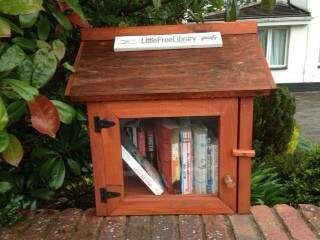 Did you know that there is a Little Free Library here in Mount Merrion? It is situated outside a house on The Rise just across from the main Church car park. The aim of the library is to inspire a love of reading, build a community spirit and spark creativity by fostering neighbourhood book exchanges. The idea is to leave a book and take a book! Why not give it a try? You can read more about the Little Free Library project here.